Before we go into the details of content syndication and its significance in achieving effective leads, let us understand what do we mean by Lead Generation and why is it so critical? We know that a buyer doesn’t buy a product or service unless it stimulates and captures the interest. Therefore, it is critically important to generate effective leads that eventually get converted into a sales pipeline. Traditionally, it is considered a game of ratio. It means you need to tap more people if you want more business leads. Moreover, the quality aspect was always pushed at the back seat. However, it is not an efficient way of lead generation indeed. Due to increasing costs, the traditional approach of ‘high efforts and low output’ doesn’t look a lucrative idea. Today, we want to-the-point, precise efforts that yield maximum output. Also, there is a high emphasis on quality of the leads. The process of Lead Generation has seen a transformation in the recent years as several online and social methods appear in the scenario. A whole world of information is available online to make a buyer self-directed up to a large extent. At the same time, marketing managers also have smart techniques to qualify and develop potential leads before they are handed over to the sales team. Since the buying process has changed, it becomes necessary for marketing managers to follow these new methods of reaching to the buyers. In the great noise and buzz, it is very much important to blow the trumpet forcefully to get heard. Not only the product and service should be easily found by the potential buyers, but it is equally important to build a continuous relationship with them. 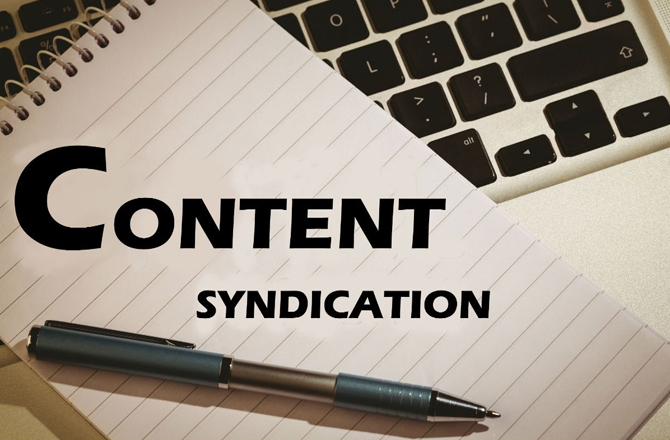 When you are supposed to invest in finding resources to generate leads from scratch, there is an effective method available in the form of Content Syndication. Yes, it ensures that you get leads through a reliable and robust content marketing program (B2B). The leads are marketing-qualified, and they get generated from either a mailing list or a B2B contact. Seeking the help of a content syndication company brings useful lead generation solution. It not only helps the team in working on potential, verified leads but also guarantees a high probability of success. A good syndication solution generates verified leads so that your marketing efforts generate the maximum output. You can add wings to the efforts so that incredible business benefits are obtained. How do qualified leads through content syndication help your business? When you want business results, it is not a good thing to look at leads only. All leads can’t be termed as good leads, but the leads that create an impact on the bottom line of the business are useful. They are called Qualified Leads. When a lead shows an immense potential of getting converted into business (based on lead intelligence modules and analytic tools), it is a qualified lead that entrepreneurs always look for. Every business uses different criteria to qualify a business lead. A scoring system judges it and decides whether it is fruitful to tap the lead or not. Since qualified leads focus on the quality, they are quite important in the modern era. It is always better tapping a few leads that would surely convert into business than receiving hundreds of inquiries that are mildly interested in the service or product. Since it is not possible always that the prospective buyers would visit your website to purchase something. Whatever efficient SEO techniques you use or efficient digital marketing expert you hire, there is always a chance that you miss the buyers. Hence, you should showcase the business where buyers might show up. The easy and effective way is to offer meaningful, crisp and useful content. Yes, it really works well, especially when you use content syndication. Make sure you make available the blogs, articles, whitepapers, PRs and other content on newsletters and third-party websites. Since content syndicators redirect the leads to your mailbox (or other interface used for lead collection); you can manage them well. How does it help, you must be curious to know about it? Well, when you offer the content to readers, it is important that it is excellent, engaging and customized for the audience. Relevance is the basic criteria. When users find the content useful, it is sure that they will return in future. A trustworthy content always generates leads; there is no doubt about it. When you do it with effective syndication, the results are overwhelming. Content Syndication brings loads of potential leads to you, but it is of no use if you can’t utilize the opportunity and convert them into buyers. If the sales team is busy in something else and do not have time to entertain the potential leads, they would die eventually or go to your competitors. Hence, it is critically important to nurture the leads well and convert the potential leads into buyers by establishing trust and relationship. Keep on using the right content at regular interval so that there is always a possibility of conversion. A holistic approach and foolproof process need to be established for outstanding results. When you invest for content syndication, it is important that you make the best use of it by converting the leads into an actual sale. Syndicated content travels much faster than the content published on only your website. It is quite obvious because it is viewed by innumerable people. Not only you get better visibility, but a huge business benefit as well. Your product or service becomes the ‘talk in the town. When it is a buzzword in hundreds of discussions, forums, and websites; you are considered an authority in the niche. A fairly widespread syndicated content brings unparallel benefits. Hire the ‘right’ content syndication provider to reap the best benefits. Every penny spent for it should give the maximum output. 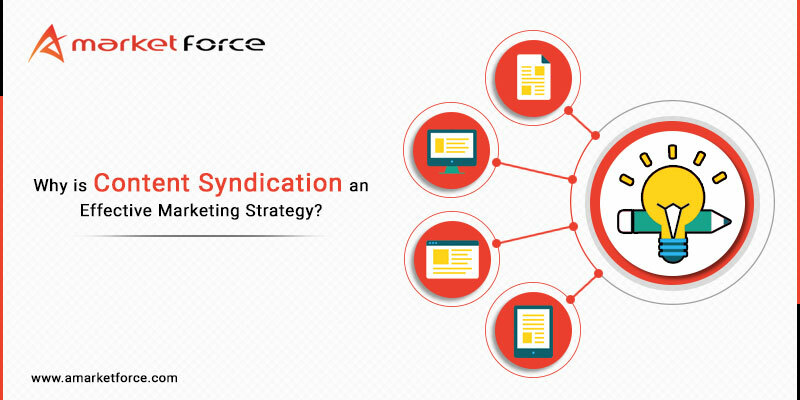 Why is Content Syndication an Effective Marketing Strategy? 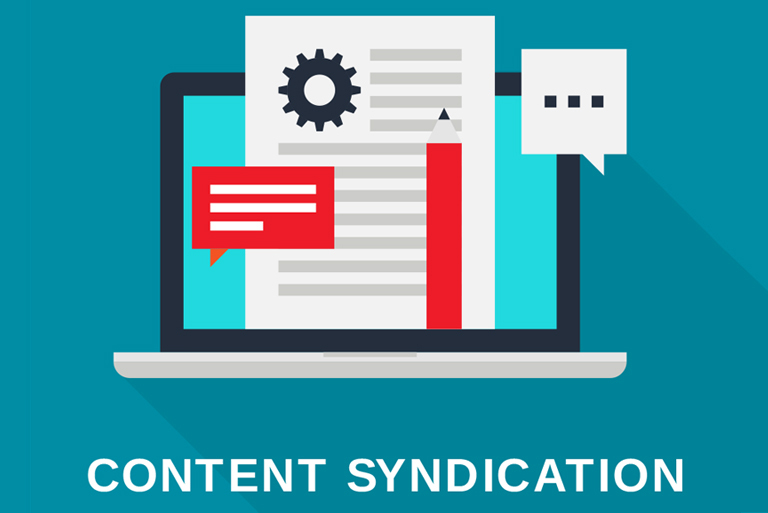 What is Content Syndication and why is it important?